No blankets on buggies please! Now the sun have found its way back to us, do you know how to keep your baby safe and cool? I don’t use a buggy very often but more so in the summer when it is too hot and sticky to wear them. 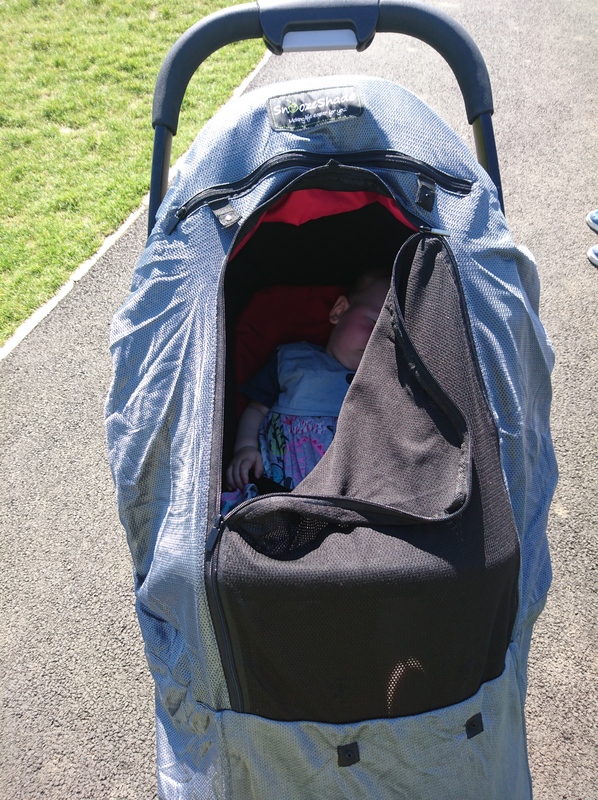 I wanted to get the safest option to keep Oswin (1 year) out of the sun whilst in the buggy, I found the SnoozeShade and it is brilliant! The lovely people at SnoozeShade sent me a deluxe SnoozeShade to try out and this is how we got on. 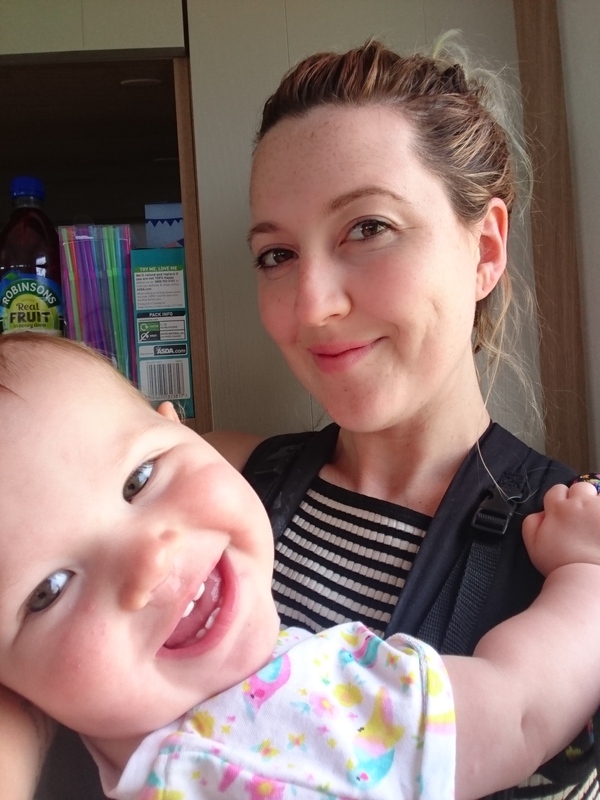 Firstly the brilliant stretchy design fits any standard buggy (we tried a Graco Evo, a Cosatto Giggle and a stroller) and it completely covers the seat and child. This means that if your little one is wearing shorts or a dress their legs will still be out of the sun. Gone are the days of fighting with a parasol and shade chasing when your out walking! There is a zip at the front to open fully or just one layer, depending on the level of shade needed. There is also a handy ‘peep’ zip to check on them, this bit is very handy for checking on little ones. We took it for a spin to the park this weekend and for the first time winnie fell asleep in the buggy! Noah thought it was a tent and wanted to get in too. I will be lending it to my sister for her little one when they go to various places around Europe this summer. Like lots of mums she uses a muslin over the buggy. This is generally fine but on days when there isn’t much of a breeze or blistering heat, it can cause the baby to get hotter than they would be in the open air. 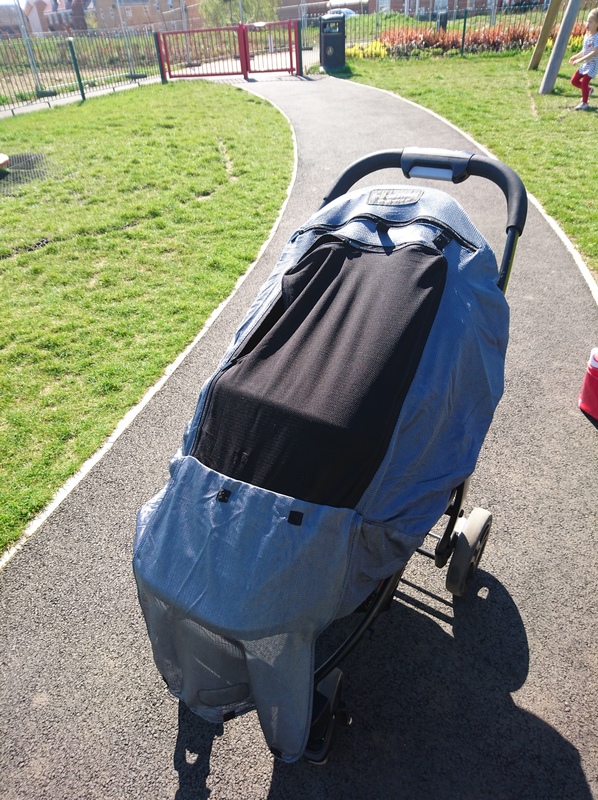 Also the SnoozeShade is uv safe which is brilliant for added peace of mind with little ones, other covers don’t offer this protection, so babies can still catch the sun through them. 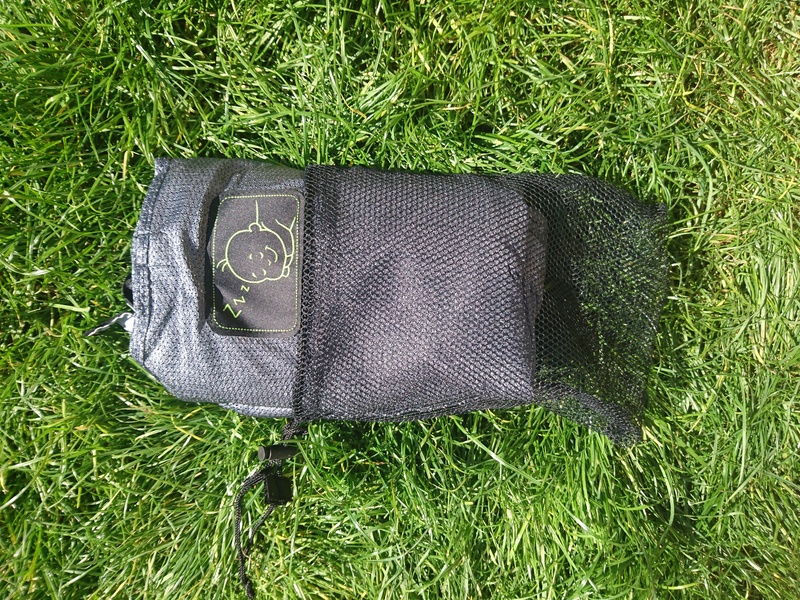 The SnoozeShade comes in its own little mesh bag and goes back in to it without any issue to pop back under the buggy. 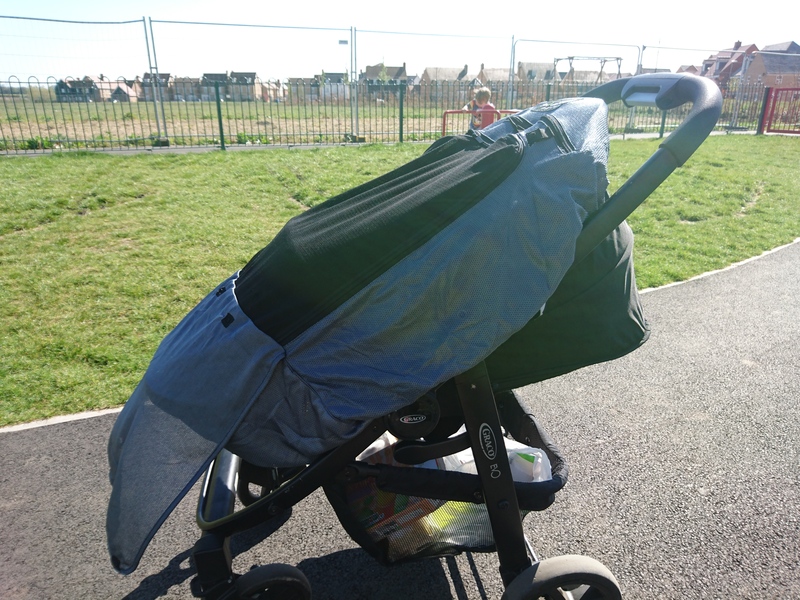 The SnoozeShade would also come in handy on very windy days as it cocoons the buggy, it is pretty snuggly in there but air can still circulate. Even with the SnoozeShade please still put suncream on little ones and out of the hottest part of the day if possible! I am looking forward to seeing if I can get my toddler to go to sleep under it now! 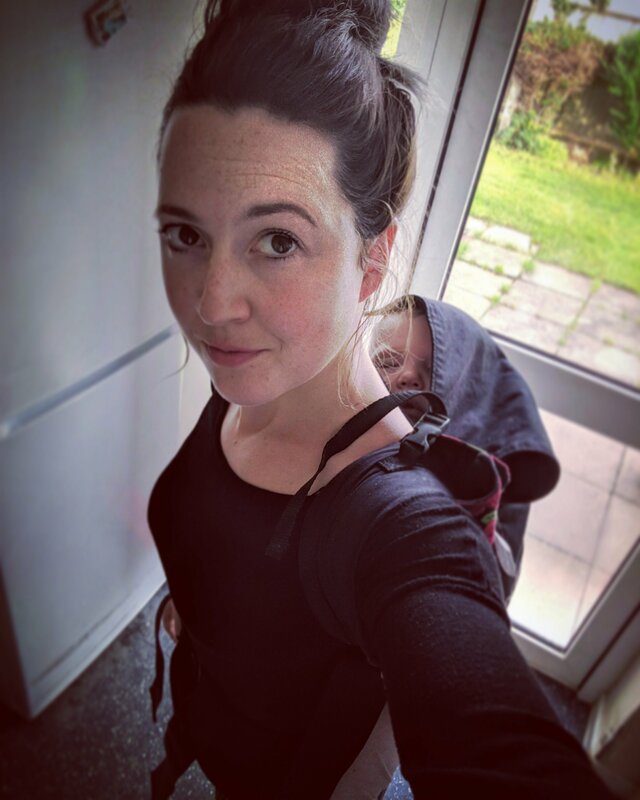 If you are baby wearing in this heat, we do most of the time, please remember that the carrier or sling counts as a layer! We are very much showing off Oswin’s cloth nappy collection when she is carried at the moment. Go check out SnoozeShade on amazon, they have quite a few handy variations.